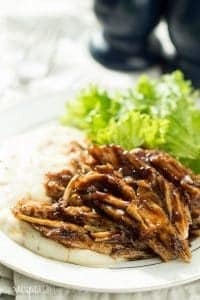 Tender, moist turkey breast brushed with a sweet and tangy apricot balsamic glaze — the perfect slow cooker meal for the holidays so you can enjoy your guests! Confession time: I’ve never cooked a turkey. But seriously, what is the smallest size you can get a turkey? Those things are huge! What do I want with like 20lbs of turkey meat? Most often on the holidays we’re at my husbands’ parents or my parents’ house and my mom or his mom takes care of the turkey, and I’m usually slotted in for dessert (surprised?). Someday, I will conquer the whole turkey. For now? Turkey breasts. I love them! Turkey breasts are awesome for a small gathering or a family dinner when you want plenty of leftovers (and I am a leftover lover). I am also a slow cooker lover. 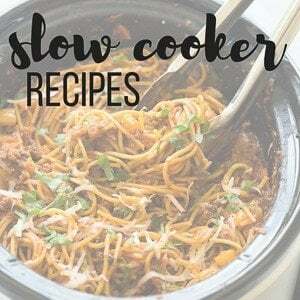 I think slow cookers are awesome every day, every season, but particularly around the holidays! 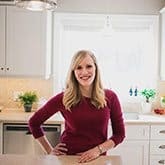 Those are the times when you want something super delicious, you might be entertaining family, you might want to use your oven for other dishes, and you might actually want to visit with the people you’re entertaining! This Slow Cooker Apricot Balsamic Glazed Turkey Breast is an easy holiday dinner! Place turkey breast in the slow cooker. Season with salt and pepper and pour chicken broth into the bottom of the slow cooker. Cook on low for about 8 hours, or until a meat thermometer reaches 170 degrees F in the thickest part. Remove from slow cooker and let rest for 5-10 minutes before slicing. 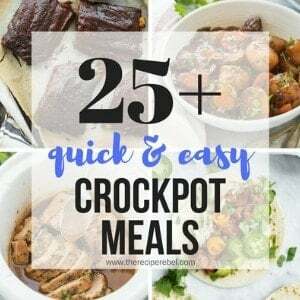 Place back in the slow cooker and set to keep warm. In a small pot, combine preserves, vinegar, garlic and brown sugar. Bring to a simmer over medium high heat, and reduce to medium, whisking often. Simmer for 15-20 minutes until reduced and thickened slightly (it won't become super thick, but there will be a noticeable difference -- it will continue to thicken as it cools). Pour over turkey slices in slow cooker and serve. Simmer for 15-20 minutes until reduced and thickened slightly (it won’t become super thick, but there will be a noticeable difference — it will continue to thicken as it cools). Pour over turkey slices in slow cooker and serve. Do you defrost the turkey first or put it in the slow cooker frozen? I put it in frozen! Wow, that balsamic glaze looks to die for!! I love that you first experience cooking turkey was with the slow cooker! I’ve got to try this! Turkey can be totally intimidating! Making it in the slowcooker though makes me feel a lot better about it- especially when it can be as delicious as this. Yum! Oh my goodness – that glaze! I have no words! I look forward to trying this! I cook turkeys once a year, but turkey breasts as much as possible! My kids love it and there are always leftovers, which I love. 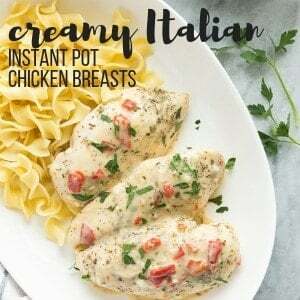 Using a slow cooker was a great idea, and that sauce sounds so good! This looks so incredible! I actually made the turkey on Thanksgiving last year, though I did recruit my grandma’s help as soon as she got there, haha. This looks like a way easier way to enjoy turkey…loving that glaze! Thanks Cyndi! I actually went and bought a turkey just because I LOVE having leftover turkey, Lol. So I’m going to give it a shot! The flavor if this looks so sensational! I’ve only cooked turkey on Thanksgiving! I really should cook it more often. You have inspired me! And this apricot balsamic glaze sounds amazing. I am going to give it a try this year too Dorothy, just because I love the leftovers so much! I have been in charge of the turkey for a few of our family holiday dinners but anytime it’s just our little family, turkey breasts totally rule! I love the apricot glaze and that you made it in the slow cooker! It looks so flavorful and amazing! You’re so brave Kelly! Lol. I am going to try making my first full turkey this year! I’ve never cooked a turkey either. The thought of that scares me a little. 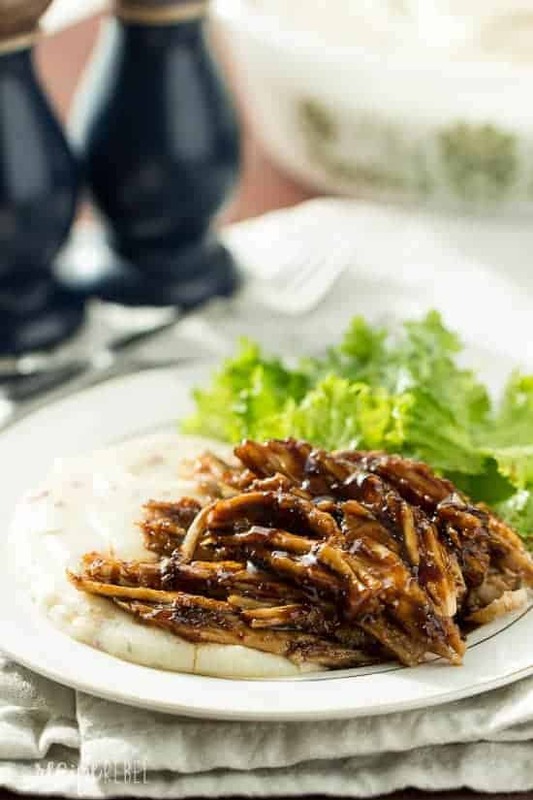 But I would definitely try this turkey breast in the slow cooker. Looks amazng, Ashley! Love the apricot glaze, too! Ooo I love mine! Let me know how you like it!